On this page you’ll find all the best ways to make money in your spare time based on our own experience. We’ll keep adding new ways to this page so go ahead and bookmark it. And please do share your own ideas in the comments! Interested in generating passive income? You need a website. It’s THE way to make money while you sleep. 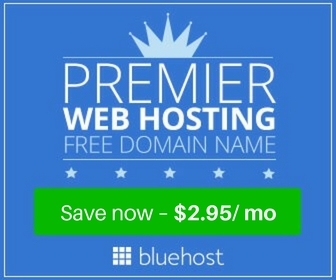 Starting a website with Bluehost takes less than 20 minutes, costs hardly anything and can be done by an 82 year-old. It only takes a bit of plugging on social media to get your first visitors, and there are plenty of ways to monetise your site. Dream Online Business (The blog you’re on now) is just one example of a successful website. Read a step-by-step guide on how to start a website in 20 minutes. It’s really one of the best assets you can have. Well it seems like you’re pretty nifty with a web browser, so perhaps it’s time to turn pro and browse websites as a paid and fun job! Introducing UserTesting.com – a new platform that pays everyday people to review all kinds of websites. Each review takes around 20 minutes and bags you $10 (£6.50) via Paypal. Simply sign up here, complete a test review and look forward to receiving websites in your inbox. An increasingly popular way for people to make money is to fill out online surveys in their spare time. Research companies are always recruiting new members to answer surveys and test new products. For a few minutes of form filling, you can make a couple of quid which is paid as cash or rewards. You can bag up to $5 for some surveys! Similar to making money from online surveys, GPT sites reward you in cash and vouchers for completing various offers or activities online. The most popular sites today are Toluna, Swagbucks and InboxPounds. Got a bicycle, motorbike or car? What about a Smartphone? That’s all you need to make some extra money by delivering food or people whenever you’ve got some spare time. Sign up to delivery specialist companies like Deliveroo (UK), UberEats, DashDoor, etc who are always on the hunt for new riders. They allow you total flexibility to work when you want, delivering food from restaurants the the customers’ door. You can make up to $25 an hour. Double-up your opportunities by directly contacting local takeaways and bigger chains like Dominos to see if they have any delivery jobs going. With the Amazon Kindle store, anyone can publish an eBook and make money. And the Kindle app is now available on almost any device (laptops, iPads, smartphones and yes, Kindles) so your global market is huge! List your book for $1.49 – $9.99 and you earn 70% of the sale. Considering Amazon is the ultimate selling machine (and remember people are looking to spend), that is a fantastic deal. The key to success with eBooks is to create value, and write non-fiction. Simply bundling information you have researched and complied on a common problem (eg. ‘secrets’ to finding a job) and then presenting it in an easy to digest format (an eBook) justifies someone spending a few quid on it. Another big tip is to have a great cover designed (browse these) so it stands out, and once your book is live on the Kindle store it’s really important to get some reviews so it shows up higher in results. Encourage readers to leave an honest review at the end of your book. The best thing about this lucrative idea is that once you’ve invested the time (say 20 hours), you’ll earn a passive income for years to come! For a step-by-step guide to publishing and earning with eBooks, see “Kindle Money Mastery“. If you’ve got a good presence on social media or perhaps you even have a blog or website, you can start bringing in money immediately by promoting all sorts of companies, products, services and offers online. To take it a step further, set up a website (read our guide) or a topical Facebook page and invite all your friends to join it and post your affiliate offers on there. Or if you’re looking for a more advanced training on Affiliate Marketing you can check out AWOL Academy they have a free PDF and live training. There are a variety of tasks, but most commonly they involve mindless data entry, web research or form filling. You are rewarded and paid in cash (via Paypal) for the work you do, and you can choose for what and when you work. Give it a go. [If you’re US based, also try Amazon’s ‘Mechanical Turk‘]. A domain name is just a website address (eg. ‘savethestudent.org’ or ‘mysite.co.uk’) and there are lots of extensions (.com, .net, .co.uk etc). They cost as little as $0.99 to register with GoDaddy.com yet premium domain names can fetch $1,000s if not millions when sold on. In 2007 VacationRentals.com went for a cool $35m! Now you’re probably not going to come across anything like that, but you can still turn a quick profit with a bit of searching. The trick is to find available domain names which have some commercial value, snap them up and then list them for sale on a site like Sedo.com. Perhaps you enjoy writing, managing Facebook pages or doing a little bit of graphic design in your spare time. There are so many freelance jobs out there that require simple skills or just time that someone else might not have. And the best thing about freelancing is that you can work for clients in the UK and around the world with just an internet connection from home, to your own hours whilst developing valuable skills. A great place to start is with the leading freelance site Upwork.com. If you want to learn more about becoming a full time freelancer or just how to make more money from freelance work then check out My Freelance Paycheck.